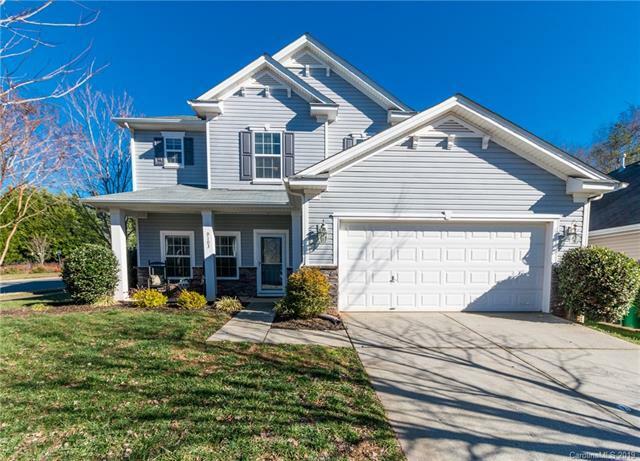 You'll love coming home to this like-new two-story in popular Berewick. Great location, with easy access to the quickly growing Berewick Town Center. The open floor plan offers two roomy living and dining options, which lead to a spacious kitchen with stainless appliances, upgraded cabinets, an island & a pantry. Durable and stylish laminate wood flooring on the first floor & new carpet upstairs. Family room has gas log fireplace and overlooks manicured, fully fenced backyard with paver patio. 2nd floor offers a loft/family area, plus three bedrooms. The massive owner's suite has a tray ceiling, bathroom with dual vanity, soaking tub and shower and an impressive walk-in closet (the size of some bedrooms). Enjoy the amenities of Berewick, including a pool, playground and more. Welcome home!